Tenoil Petroleum and Energy Services is led by a management team with a combined experience spanning several decades in the oil and gas industry. To prove capability, we have already made a financial commitment to invest up to US$55 million in the Ata Field development in 2013, along with the significant funding already invested in previous years. There is a huge commitment within the company to use the latest technology and skilled manpower to achieve the accelerated recovery of hydrocarbon and petroleum products. Tenoil has engaged oil and gas experts who hold vast experience and in-depth understanding of hydrocarbon exploration and production in the Nigerian oil and gas industry. 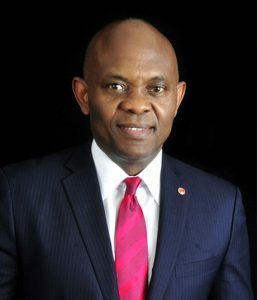 Mr Elumelu chairs privately held investment firm Heirs Holdings and Nigeria’s largest quoted conglomerate, Transcorp. Mr. Elumelu invests across Africa, primarily in the oil and gas, financial services, hospitality and power sectors. His investments are informed by his philosophy of Africapitalism: the belief that the private sector can lead Africa’s economic renaissance and that investment should create both economic prosperity and social wealth. Mr. Elumelu sits on a number of public and social sector boards including the United Nations Sustainable Energy for All Initiative (SE4ALL) and USAID’s Private Capital Group for Africa Partners Forum (PCGA). He is also the chairman of pan-African financial services group, United Bank for Africa, and the founder of the Tony Elumelu Foundation, which has seeded $100 million through the Tony Elumelu Entrepreneurship Programme, to champion entrepreneurship across Africa over the next 10 years. His role is to identify opportunities across the mineral and energy value chain. 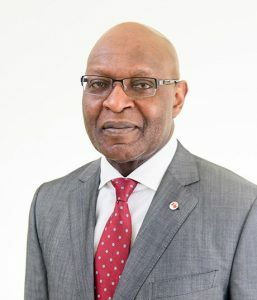 He has over 35 years of experience in the energy industry in Nigeria and internationally, having served at various times as Chief Geophysicist, Value and Portfolio Manager, and Business Development Manager Africa at Shell companies in Nigeria and the UK. Between 2004 and 2009, Tony was an Adviser to the Minister and then Director of the Department of Petroleum Resources where he initiated reforms to production sharing contracts and fiscal arrangements in offshore leases. He holds a first degree in Physics, a Masters in Applied Geophysics and a PhD in Geology from the University of Nigeria, Nsukka. Samuel is responsible for the administration and management of all financial activities and investment programmes. Prior to joining the team, Sam worked in banking institutions in various roles where he oversaw strategy, financial control, performance management, and Treasury. He also played a key role in the STB-UBA merger. Sam has a Masters degree in Finance and Management from Cranfield School of Management (UK). Upali is responsible for the design, implementation and management of Tenoil’s production facility. He has over 40 years of experience in the oil and gas industry internationally and in Nigeria. 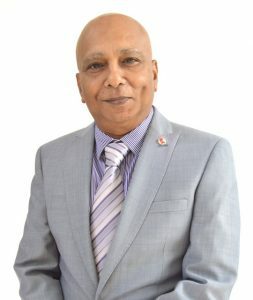 He started his career as a process engineer with British Gas, England, before joining Kuwait National Petroleum Co as a Project Engineer. 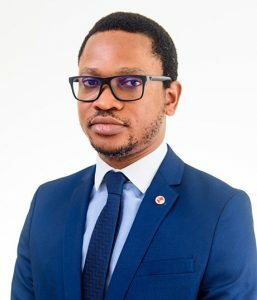 Prior to joining Tenoil, he worked as Lead Process engineer, Design Engineering Services, with Exxon Mobil/Mobil Producing Nigeria Limited, supervising detailed design of offshore facilities, offshore pipelines and onshore facilities. He has extensive experience in project management of oil & gas facilities for clients. © 2018 Tenoil Petroleum & Energy Services.